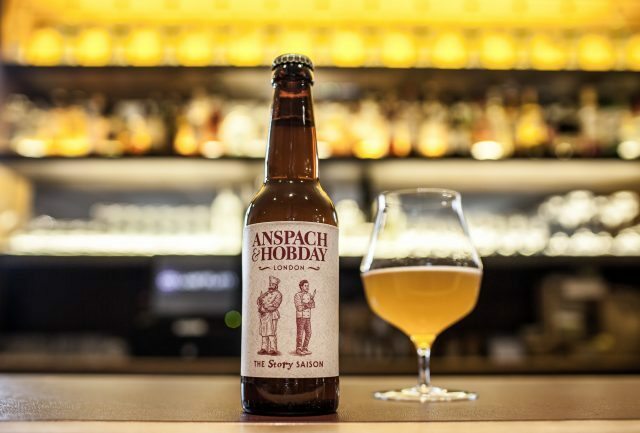 Michelin-starred chef Tom Sellers of Restaurant Story has teamed up with craft brewery Anspach & Hobday to create an ale infused with clementine preserves. Called Story Saison, the beer is a blend of clementine preserves made at Sellers’ Michelin-starred restaurant in London Bridge, and farmhouse-style ale brewed by Anspach & Hobday in Bermondsey. According to brewery co-founder Paul Anspach, the 5.5% ABV brew is “complex, refreshing and balanced” with “a smooth, dry finish”. “The base beer expresses aromas of spice and citrus fruit driven in a large part by the yeast, and the addition of clementine really elevates these, adding a huge amount of juiciness to the palate,” Anspach said. The beer has gone on sale at Story for £7 and is also available at the Tap Room at the Anspach & Hobday brewery for £3 a half-pint. “I know where every ingredient in my kitchen comes from, because I need to know that everything I use is the best it can be. I wanted to work with a local brewer to make a beer with Story for that reason,” said Sellers. Paul Anspach and Jack Hobday have collaborated with Sellers before on a smoked brown ale that was paired with Tom’s signature beef dripping candle dish at Story.